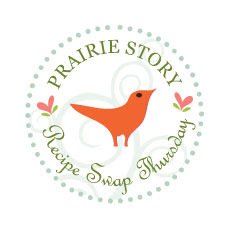 The most popular recipe from last week's Recipe Swap Thursday was Maple Pecan Breakfast Ring @ Frugal Antics Of A Harried Homemaker. Oh my, this is something I'd like alot! This week I'm sharing my Kielbasa & Sauerkraut. Every now and again I get a craving for this heartburn inducing, ethinic dish. You can eat as it, or make a sandwich out of it with rye bread! My husband loves sauerkraut and polish sausage together, but none of the rest of us in house members do, so I started making it every year for the church Christmas potluck. Turned out that there is a whole lot of people with exact family situations. They get THRILLED to learn that I brought it yet again. So fun! I just dump a large jug of the sauerkraut into a sprayed crock pot, sprinkle it with some brown sugar, chop up the polish sausage, mix, put the lid on, and call it "good". That many smiles over that much easiness is wonderful!!!!! I did bake chocolate chip cookies last weekend. Thanks so much for you help in resisting the urge. ;-p I plan on posting about mine in the next couple of days, and I'm including our comments to one another in the posting. My dad would love this recipe :) Thanks for posting. 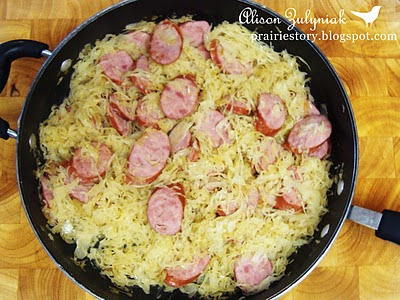 I've never tried kielbasa! Looks good! Thanks for hosting! Hi Alison, I've linked up a great recipe; thanks so much for hosting. 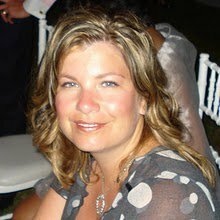 I hope you stop by my blog and link a great post for my weekend get-together too! We love this dish and eat it often down here in good old East Texas! I even add some celery seed to it! Try it...it makes it extra good! Thanks for sharing!